As a global leader in plastics, packaging and protective solutions, Berry Plastics has a reputation for quality when it comes to their industry, and the lives their products reach. A 412,000 sq. foot addition to a pre-existing 600,000 square foot building could be nothing short of the same quality and standard. 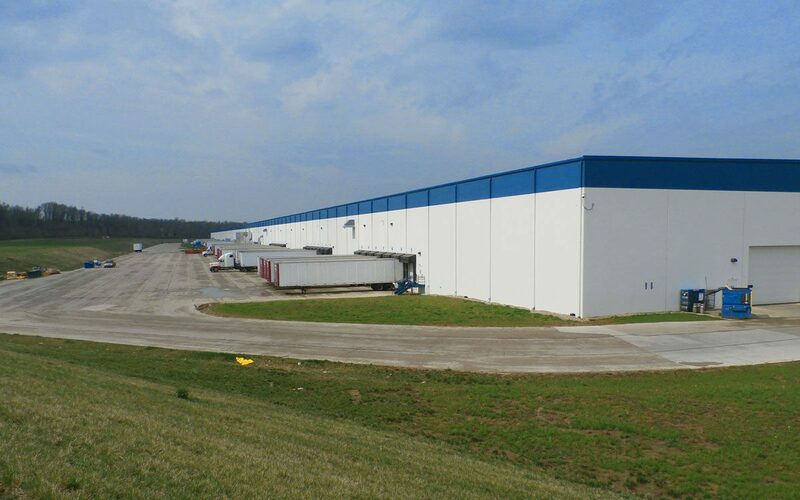 Many goods manufactured in Evansville first pass through this distribution center, and from an international standpoint, this facility is a vital part of Berry Plastics and how materials are shipped and stored. In two phases of the project, our team provided architecture, engineering and surveying. We reinforced concrete tilt ups, and tied them to steel structures. Those high bay tilt up walls allowed for extensive storage within the facility. A conditioned office within the building was added, as well as safety areas for employees, required for a building of such size. Exiting regulations also came into play, and were placed strategically to meet regulations and suit the function of the building. A unique factor affecting this particular site was its proximity to airport grounds. During the design process, modifications such as building height and rooftop indicators were facilitated due to FAA regulations. Upon completion, the facility stands at more than 1 million sq. feet.